Ecuadoran President condemns terrorist attack in Jerusalem, hours after an Ecuador citizen dies of injuries sustained in the attack. Ecuadoran President Rafael Correa on Sunday condemned last Wednesday's terrorist attack in Jerusalem. The condemnation came hours after a citizen of Ecuador, 22-year-old Karen Mosquera, died of injuries sustained in last week’s attack, in which three-month-old Chaya Zisel Braun was murdered as well. "We will reject violence from wherever it comes," Correa wrote on Twitter, according to AFP, expressing his solidarity with the woman's grieving relatives. Mosquera was a "victim of intolerance and violence in the Middle East," the Ecuadoran Foreign Ministry said in a statement. "Ecuador expresses its strongest rejection and condemnation of the attack that occurred on October 22, 2014 in East Jerusalem. The Barrera Mosquera family and our entire nation is in mourning." 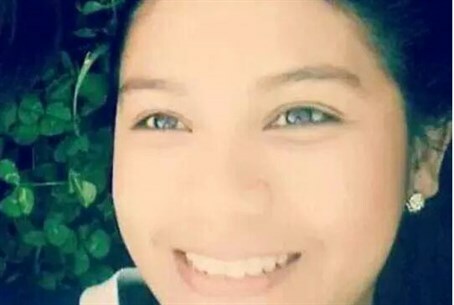 The victim's mother, Rosa Barrera, and her sister Priscilla arrived in Tel Aviv on Saturday, according to the ministry. Mosquera was brought to rest on Sunday night. Mosquera, who the Ecuadoran foreign ministry said was completing the process of converting to Judaism, had been treated at the Jerusalem Hadassah hospital. Tensions have been rising ahead of Sunday night's funeral for the terrorist Abdelrahman Shaludi, which was due to take place at around 11:00 p.m. local time near Jerusalem's Old City walls, after it was delayed from Friday for security reasons. Israeli authorities, fearing severe violence, only allowed 20 mourners to attend and they have had to submit their names to police in advance.